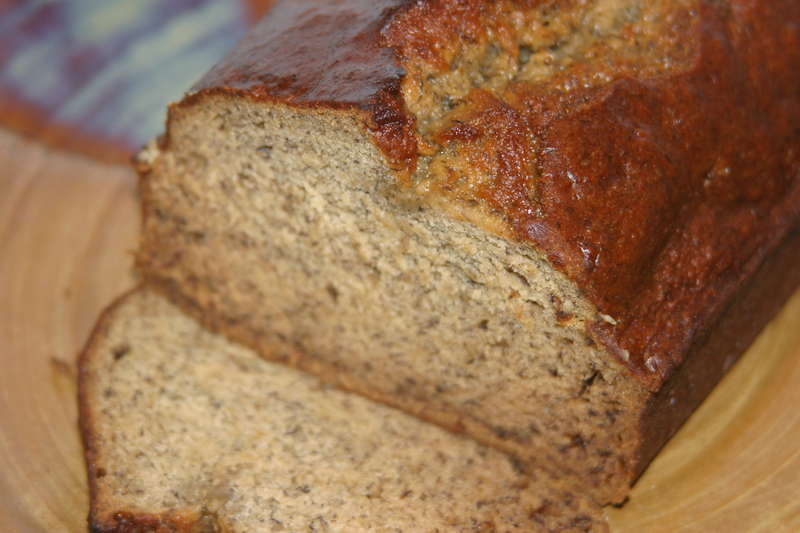 Old Fashion Banana Bread – What's in your cupboard? In a larger mixing bowl, add butter & the mashed bananas. Mix in the sugar, egg, & vanilla. Sprinkle the baking soda & salt over the mixture and mix in. Add the flour last, mix. Pour mixture into a buttered loaf pan. Bake for 1 hour. Cool on a rack & remove from pan; slice to serve. you are right about the late night snack ^…in my house when my sis makes banana bread, its gone by morning! Sometimes I make muffins thinking they will last longer….nope!